FM Approved doorway spill barriers are tested for performance and will protect against ignitable liquid fires. FM Approvals is the only Nationally Recognized Testing Laboratory that conducts full-scale performance tests on doorway spill barriers for hydrostatic leak resistance, deployment flow, fire test, and reliability. Performance-based testing provides assurance that FM Approved doorway spill barriers will meet application requirements and deliver reliable protection. FM Approved doorway spill barriers are listed in the Approval Guide, a source of vendor information for nearly 1,800 FM Global field engineers worldwide as well as thousands of FM Global customers, engineers, code authorities, designers, contractors and architects. Nearly every industry uses ignitable liquids, including fuels, process chemicals, solvents, paints, coatings, adhesives, vegetable oils, waxes and polishes. The fire hazards of ignitable liquids are determined by the inherent physical properties of the liquid and external factors, such as the amount of liquid on site, container construction, container size and storage arrangement. Managing the hazards associated with ignitable liquids requires a comprehensive approach, including proper transportation and handling, adequate sprinkler protection and passive construction features such as isolation (containment), and drainage. Ignitable liquids containment in particular presents a unique challenge because of the high heat content of the liquids and the fact that liquids flow freely past barriers that are not leak-proof. Facilities that rely on ignitable liquids have to balance the need to provide adequate protection for and confinement of ignitable liquids in case of fire with the need to freely access and move those liquids as required by production processes. In cases where large quantities of ignitable liquids are stored in attached or internal cutoff rooms, even a small spill or small fire, if not immediately contained, can lead to a catastrophic pool or three- dimensional fire that can easily spread beyond the storage area. Curbs installed across the entry to cutoff rooms and other storage areas can be an effective barrier against the spread of ignitable liquids due to their constant physical presence. Unfortunately, curbs can also be a detriment to the free movement of materials between the storage area and production. One alternative is to install a door- way spill barrier across the openings to cutoff rooms and other areas where ignitable liquids may be stored. Doorway spill barriers that supplement fire walls and fire doors are important elements in protecting against fire in occupancies handling, processing or transferring ignitable liquids. Doorway spill barriers remain in a retracted or an unobtrusive position under normal operations, allowing free access for vehicular and personnel traffic. In the event of a spill, doorway spill barriers deploy and contain the flow of ignitable liquids and contaminated water from sprinklers or firefighting runoff. FM Approvals is a Nationally Recognized Testing Laboratory (NRTL) and one of the only testing organizations in the world that conducts full-scale performance testing on doorway spill barriers, including full-scale fire testing. For a specifier or facility owner, the FM APPROVED mark on a doorway spill barrier system is an assurance that system has undergone the world’s most rigorous testing and met or exceeded the manufacturer’s specifications and performance claims.  For manufacturers of doorway spill barrier systems, the FM Approvals certification program is an investment that demonstrates to the market the confidence you have in your product. The FM APPROVED mark on your product is a quality indicator that helps differentiate your product from the competition. In one case, a buoyancy-driven automatic doorway spill barrier system, installed in an industrial facility, worked perfectly to prevent a major spill when a chemical tank valve was inadvertently left open overnight. The liquid automatically triggered the spring-powered barrier, causing it to raise and block the opening. All of the ignitable liquid was contained in the cutoff room, enabling faster clean-up and reducing the risk of fire and contamination.